Ostchem's chemical plants will have to stop work in a week if state-run railway operator Ukrzaliznytsia continues to refuse to send railcars for the shipment of their products, Ostchem's press service has told Interfax-Ukraine. "Ukrzaliznytsya stopped sending railway cars a week ago. As a result, the products are not being shipped and the plants are forced to stock their warehouses. If the wagons are not sent, in a week the warehouses of the enterprises will be completely filled and the plants will shut down," the press service said. 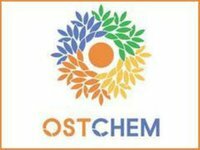 Ostchem said the most critical situation was at its Cherkasy Azot plant and at Rivneazot, adding that the situation at its Severodonetsk Azot plant is also precarious. "If the supply of wagons does not resume, the autumn sowing campaign will be under threat. The chemical producers will stop and bear losses. Farmers are in danger of not receiving the fertilizers they need," the press service added. Each plant needs about 20 gondola cars every day. Executives from Cherkasy Azot, Rivneazot and Severodonetsk Azot have written to Prime Minister Volodymyr Groysman and Ukrzaliznytsia officials requesting immediate resolution of the problem. As earlier reported, the Ostchem Group consolidates the assets of Group DF (Dmytro Firtash). It includes nitrogen fertilizer production enterprises PJSC Azot (Cherkasy), PJSC Rivneazot, PJSC Severodonetsk Azot (Luhansk region) and PJSC Concern Stirol (in Russia-occupied Horlivka, Donetsk region).